Please feel free to explore this site to gain a better understanding of our firm and how we help our clients plan for and work towards their financial goals. If you have come looking for an experienced professional to coordinate your company's retirement or pension plans, you have come to the right place. If you are a successful individual looking for an Investment Adviser Representative*, you too are in the right place. 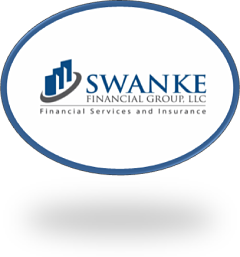 Swanke Financial's purpose is to help create and preserve well being for both businesses and individuals. After talking to us, you will know you have been heard. We begin by determining your financial and personal goals. We will create a strategy that will help you pursue your goals. Planning for your future is not an easy process. Effective planning involves two important components: investment management and preserving your wealth. Our goal is to help create financial solutions and provide courteous and quality personal service. We invite you to use the Contact tools to ask us any questions you may have. Please let us know if there is any other information you would like to see on this site. Thanks for stopping by. We appreciate your visit.